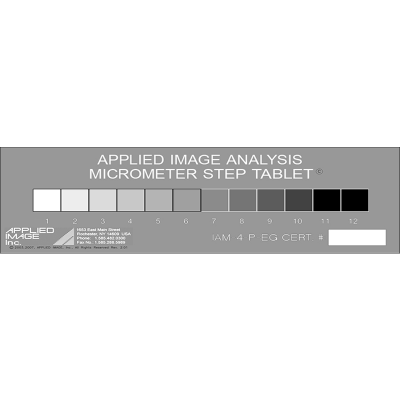 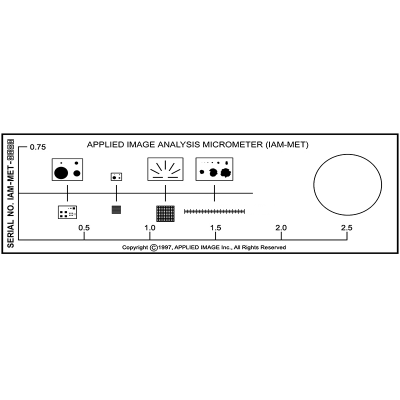 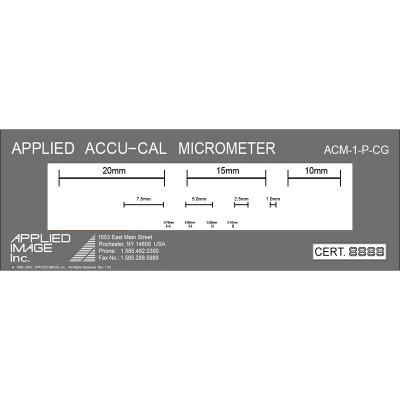 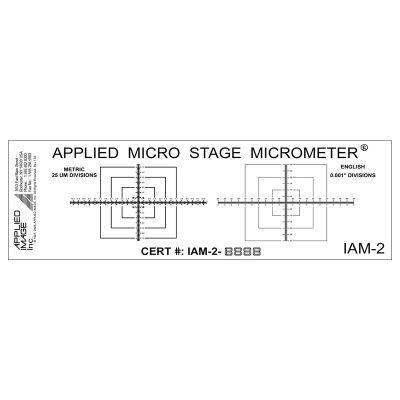 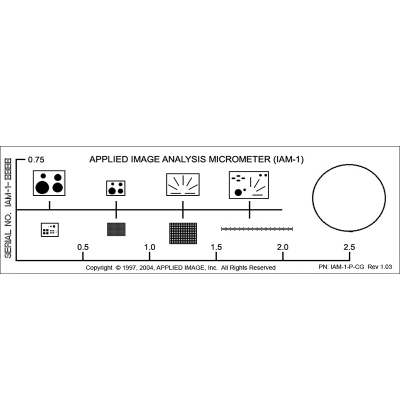 For calibrating and analyzing microscopy measurement systems, the IAM line of Image Analysis Micrometers are perfectly suited. 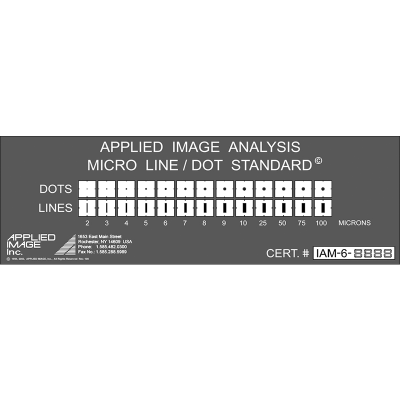 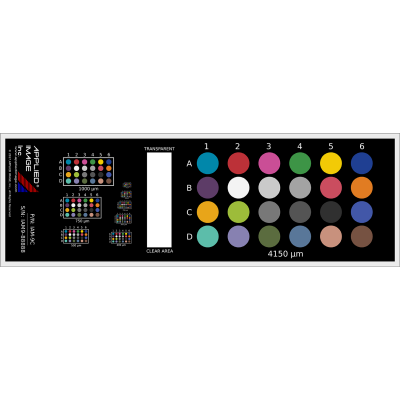 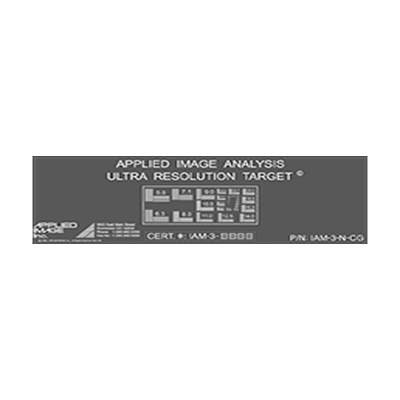 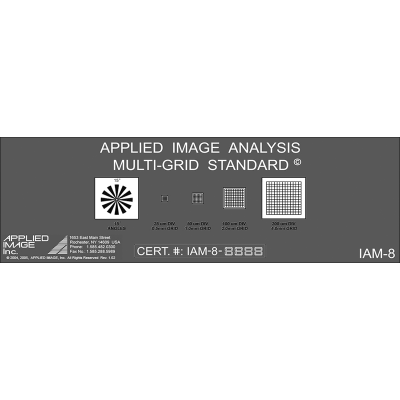 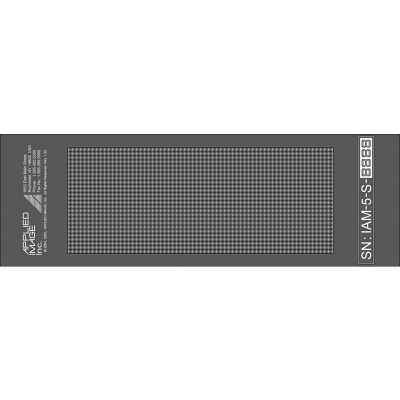 Calibrated to NIST Standards, and imaged with the best line edge quality in the industry, the IAM series is a diversified line of slides that function in areas of color calibration (IAM-9C), Optical Magnification, Frame Distortion, and other applications. 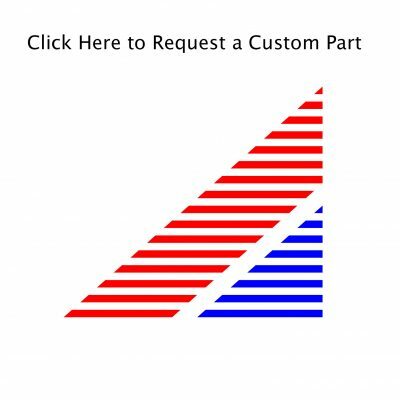 Custom features, substrates, sizes and designs are available as custom solutions.